Here's an interesting wrinkle in the rapidly-closing saga of the Galaxy Note 7. Yesterday Samsung announced that it would send a software over-the-air update to the few remaining phones in the US, preventing the devices from taking a new electricity charge, and hopefully stopping any more battery-based fires. It's far from the first measure the company has taken to further encourage owners of the defective phones to accept the voluntary recall, but it might be the last. American wireless carrier Verizon, for reasons of its own, isn't participating in the latest software update. "We will not push a software upgrade that will eliminate the ability for the Note7 to work as a mobile device in the heart of the holiday travel season," said Verizon's VP of Global Corporate Communications, Jeffrey Nelson. "We do not want to make it impossible to contact family, first responders or medical professionals in an emergency situation." The company worries that those customers without an additional phone they can use will be cut off from communication at a critical moment, despite the fact that the carrier has participated in Samsung's unconditional recall and refund program so far. On the one hand, it's hard to see a positive in blocking an update that's meant to immediately reduce the risk of a random fire. On the other, Verizon has a point - effectively shutting down customers' devices could put them in danger, even if it's only tangentially. Say someone was in a car wreck during a long holiday road trip, and the Galaxy Note 7 was the only phone they had with them, and thus the only means to call 9-1-1. It's a bit of an outside chance, but arguably, it's statistically more likely than having one of the few Note 7 units that's actually caught fire thus far. Many of the remaining Note 7 owners seem to be hanging on to their units out of a dogged sense of freedom, arguing that having paid for the device, it should be their choice to take what they consider a small risk. 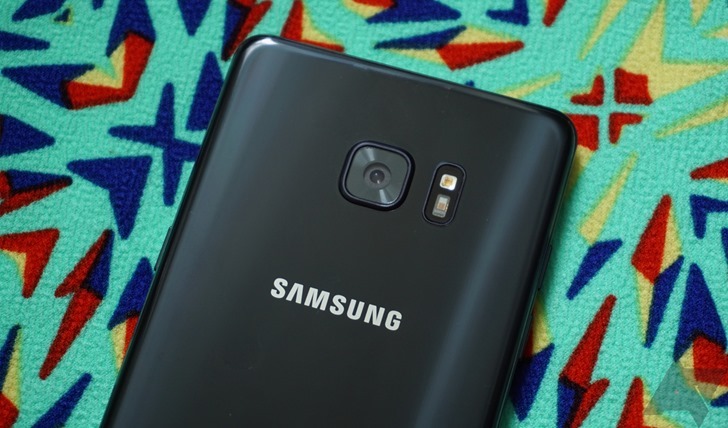 Samsung disagrees, probably seeing a costly recall program and problematic tactics like charge-blocking as a means to avoid a costly personal injury lawsuit. Verizon probably feels the same way, and makes no endorsement of that "freedom" position on its blog, but the company could be equally culpable if a customer couldn't contact emergency services because of a safety measure. It's a pickle, to be sure. What's more dangerous, a phone with a statistically small chance of bursting into flames, or the prospect of having no one to call if you're caught in an ordinary house fire? Verizon and Samsung are between a rock and a hard place, and they're being put there by customers who are willingly putting themselves at risk.